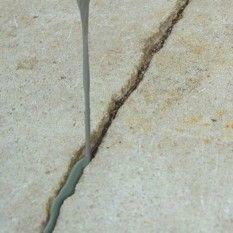 Concrete repairs are a vital part of any epoxy flooring or polished concrete flooring system. Prior to applying any resin flooring system, it is always necessary to first carry out repairs to any visible damage or cracks in the concrete floor surface, otherwise they will be reflected through the new resin floor finish and become even more visible. The nature (i.e. moving or non-moving) and the cause of any cracks or damaged joints and joint arises in the concrete floor must also be considered and treated appropriately to ensure there will be no contamination or adverse future cracking of the resin floor system. Concrete repairs can be required to surface damage in concrete floors for many different reasons including defects in the original concreting work, i.e. honeycombing, voids, unsuitable aggregates such as ‘mudstone’ pop-outs, inadequate surface finishing or curing, etc. Damage to concrete floor surfaces can also be caused by impact, wear, abrasion or chemical exposure and attack during service. With all damage to concrete floor surfaces that are to receive a new resin flooring system, the first requirement is to establish the cause and extent of the damage and then to mechanically break out and remove any unsound or weak concrete, always ensuring that any voids in the slab and / or any areas of honeycombing are fully exposed. The best method of concrete floor repairs will depend on the size and depth of repair required, the type of resin flooring system to be installed, the floors future exposure and performance required, plus the time available and the environmental conditions at the time. Basically sound concrete floor repairs can be made with cement based mortars or epoxy resin based mortars. Larger, thicker areas of damaged floors are usually repaired with cement based products providing there is sufficient time for them to harden and cure to the acceptable moisture content for the resin flooring system selected. If time is short then rapid hardening cement based products, or even faster hardening epoxy resin repair mortars can be used. Epoxy resin repair mortars are much more expensive, but generally the new resin flooring system can go ahead the very next day, whilst with almost all cement mortars, at least 7 days will be required before they can be over-coated with the resin floor materials. Technically this is because of a combination of reasons – time to dry and harden, time for the mortar to reach an acceptably low moisture content, plus the time required for the mortars surface alkalinity to be neutralised (by natural atmospheric carbonation). Resin Flooring Site stock and supply a full range of concrete floor repair products including concrete additives to improve the strength and reduce the initial water content of site-batched cement repair mortars, a range of different pre-batched cement and rapid hardening cement based repair mortars for different thicknesses and areas, plus a full range of epoxy resin based concrete floor repair products. Therefore whatever surface damage has happened on your concrete floor we can provide detailed repair recommendations and method statements instructions, together with all of the necessary materials required. If you have problems with your concrete, let a rep from Concrete Renovations Inc survey and help with your concrete repairs!! The flooring techs at Concrete Renovations Inc are experts in the identification and the repair of all concrete floors. They can use various methods to repair concrete. Epoxy floor overlays, cementitious overlayments, and self leveling repair epoxy slurries are just some of the repair methods they use. 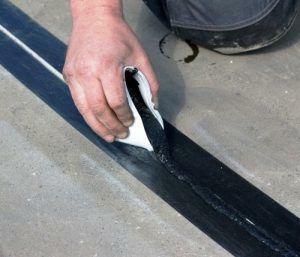 They will even do spot repairs on almost any concrete surface.